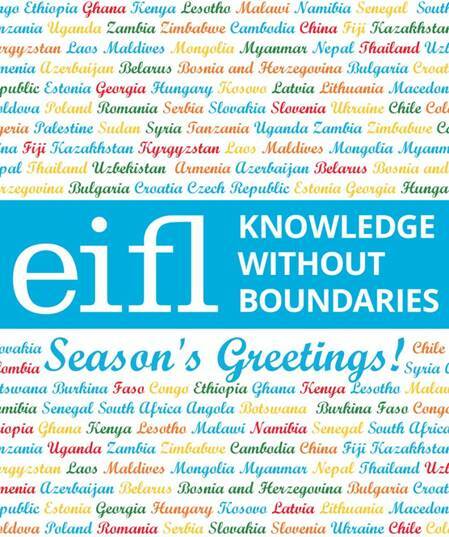 Thank you for the great work done by EIFL, and for the difference you make through all the exciting programmes – open access, public libraries, IP, and more. I certainly hope that we can work together in future – through LIASA, as well as through ASSAf. EIFL a very important partner in a world where libraries more and more play such a very important role, at the same time setting the trends for us to follow.